You’re engaged (congrats!) and you’ve started planning. Yep, it’s overwhelming – more general advice on that in a future post. For now, here are some tips on how to choose a wedding photographer. To one degree or another, as we grow up we pretty much all picture our wedding day, right? Way before we’re even engaged, I think just about everyone thinks about it at least once. Some women go all out, knowing every last detail of their future celebration, but I had no clue what mine would look like. The only thing I did know – years before becoming a wedding photographer even crossed my mind – was that photography was what was most important to me. My thinking was two-fold: 1) Everything else was temporary. The flowers, the food, the band… everything would be gone in a few hours, and even the dress would, at best, just sit in my closet. But photos were gonna make these things last forever. 2) I cared much more about the feeling of the day than the look of it. Sure, I was going to create (someday) something beautiful, but if I could get images that captured the love and joy shared, on a day when the most precious people to me were gathered in the same room, what a priceless gift that would be. So this article is directed at anyone who sees photography the same way. So that’s step 1: Figuring out what matters most and least to you. Most of us don’t have endless resources, so decide right off the bat what item you aren’t willing to settle on. For some people it’s photography, for others it’s the venue or the dress. Spend money on your Number One guilt-free and make compromises on the rest. You’ll be surprised how much your budget gets redistributed and where the money went in the end. There are many different approaches to the same thing, and often photographers fall in categories. Some are traditional, some photo-journalistic, some artistic, some editorial… etc. Through their website, photographers let you know the kind of work they do. If they are featuring a lot of wild, outdoor images with adventurous couples on mountain tops but you are envisioning a fancy hotel ballroom affair (or vice versa) they may not be the right fit for you. Sure, they probably could still take good photos, but if they’re not showing that on their website, it’s likely because they either struggle with that setting or are uninspired by it. If you really love natural light images, don’t hire a photographer who is showing mostly flash images. If you like the “light and airy” look, don’t hire someone how does “dark and moody,” and if you prefer natural-looking portraits, don’t hire someone who stages moments and does a lot of Pose-Look-Smile photos. Spend some time analyzing what it is you like about certain photographs and make sure that lines up with the kind of work the photographers you are considering do. Once you know the kind of wedding you’ll be having (indoor vs. outdoor… etc,) contact the photographer and ask to see some work that features something similar. But more specifically, ask to see a full gallery. It’s easy to take a few killer shots to feature on a website, but a full wedding album will give you a better idea of how they handle all light scenarios and stages of a wedding. Have an in-person meeting, video chat, or at the very least a phone call. It’s important that you mesh well with each other, because you’re going to spend months in communication, and have them there for one of the most important days of your life. If your personalities clash you will both be miserable. Take that time to tell them about the vision you have for the day, what’s important to the two of you, and ask them any question you may have. If you’re planning an in-person meeting, it’s also a great time to check out their books in person, so you know what yours will look like. > SHOULD I GO WITH A LARGE STUDIO OR SOLO/DUO PHOTOGRAPHY TEAM? A larger studio may look fancy on the outside, but that doesn’t guarantee you better photos (on the contrary.) I’m sure there are great larger studios out there. My experience however, has shown me that for the most part, larger studios mean a less personal experience. I worked for a local one after I graduated from college, and it felt like they put quantity over quality. All they talked about was getting more, more, more. More money, more people. It was a very “Shoot and Burn” mentality. They were pushing me to get through the editing as fast as possible so I could move on to the next clients, forcing me to produce editing that was mediocre at best. Pimple on the face? Leave ’em. Crooked horizon lines? Who cares. Just plaster a preset on the photos and apply to all. Next! And I could not get myself to work that way. It was making me hate something I was so passionate about, so I left and that’s how my business was born. I also found them to be misleading. You see, larger companies contract out other photographers to shoot for or with them, and they own their photos (and put their logo on them.) At the end of the day, they could be showing you photos they had nothing to do with, from a photographer who is long gone. A solo/duo photographer team most of the time gets very invested in each story they get to tell, and you’ll know for sure that what you see is what you get. However, if you are considering working with a multi-person studio, make sure to ask to see images and editing from the exact people who will be working on your wedding. – Do they have back-up gear? Equipment can fail or break on the day. They should have back-ups on site. – Do they carry insurance? You’re investing in them, so make sure they invest in you. – Do they have back-up photographers ready to go? I learned my lesson after I got food poisoning during one of the first weddings I ever covered. I made it through (somehow) but I can’t tell you the panic that set in when I started getting sick that day. So now I always have at minimum one person (of similar skill level and style) who is free that day and fine with being called-upon at the last minute. I also put out a post on social media (in dense and active photographer groups) for each wedding I shoot for more on-calls, just in case. You never know what can happen (God forbid they are in a car accident or something) and you don’t want the stress of being stranded without a photographer on your wedding day. Believe it or not, that’s actually happened to people before. – Do they shoot on multiple cards? Card corruption happens and it’s no one’s fault. There’s no way to know if and when either. Basically your photographer will document your wedding, go home, pop the card in their computer and have nothing. Can you image that stomach-dropping feeling? For both of you. In order to avoid that, choose someone who shoots on two cards simultaneously, this way if one fails, they’ve got a back-up. > WHAT’S NORMAL PRACTICE IN WEDDING PHOTOGRAPHY? – Is the turn-around time long? That’s pretty normal too. The average is 8-12 weeks, and that’s because the person will be working on each image alone. 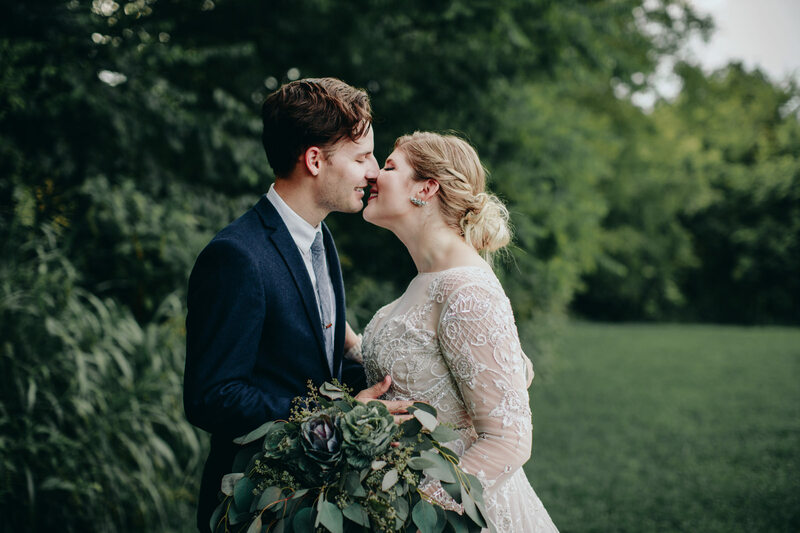 After a wedding, we come home with thousands of images (I’d say 4,000-8,000 for a 12-hour day if I work alone) and we have to cull through, carefully edit, and put together a cohesive gallery. Good results take time, so don’t be alarmed. Some photographers though outsource the editing, and that’s fine too. As long as you’ve seen examples of the final product and you like it. – Sticker shock? I had it too when I first inquired for my husband and me (before I became a photographer) but it started to make a LOT more sense to me once I became one and realized just how expensive it is to run a photography business. Remember, you’re not paying someone to work for you for one day. They’ll be working on your project for weeks, and a lot of the money goes right back out to you through products. Also, a part-timer may not have as many expenses and can charge less, while someone who is doing this full-time and as a primary source of income will have to carry insurance, pay taxes, get more equipment, invest in many pieces of software… etc. Those things add up. Once you commit to this profession your expenses will go up and you’ll have to charge more. If they’re quoting you $3,000 and over, that’s pretty average for a professional. If they’re quoting you $500, please run lol. – How many images will I get? I have seen the average be at least 50 images per hour of coverage. So if your wedding is 8 hours, you should at least get 400+ images. I hope this is helpful! If you need more guidance in choosing the right photographer for you, Junebug Weddings has a great article on the various styles. And if you have any questions, please write a comment below. Thank you for sharing your recommendations. I agree after the wedding day you have your marriage, your rings, your memories and your photos. Possibly some other souvenirs in storage. So invest accordingly. Some super awesome tips for future brides and grooms! Very good article! Wonderful set of images! My sister is about to get married in three months and they still haven’t hired a professional wedding photographer. She’s very picky and that’s maybe the thing why she has not still find one. So I was very glad that I found this article, I know your article ” How To Choose Your Photographer” this will really help my sister in deciding. It’s really important to know a photographer’s normal practice because we may not want our photographer to miss any single moment.